Datuk Seri Dr. Salleh Said Keruak delivering his speech at the International Media Networking High Tea in Kuala Lumpur on Monday. Pic Dept. of Information Malaysia. He said the Bill has nothing to do with 1MDB issues, but more concern for individuals (like businessman and others) who have to be protected. Certain things are not covered by the law or the Malaysian Communications and Multimedia Commission Act 1998. Salleh stressed that there is no specific definition on fake news in the Bill. The minister added, fake news is a global phenomenon. In the United States, it has been widely debated and it does not necessarily concerning politics but covers a wider scope like the cyber bullies and celebrities. Regarding the 1MDB case, Salleh said, it has been presented to the public through the Public Accounts Committee (PAC) report and proven that no money was stolen from 1MDB and this was confirmed by Prime Minister, Datuk Seri Najib Tun Razak at the launch of the National Transformation Programme (NTP) 2017 recently. “Nevertheless, some sectors collected their facts from other sources and that does not mean they are correct. The problem here is about management governance and for that rationalization plan has been conducted,” he told international journalists at the International Media Networking High Tea held here on Monday. Also present at the function was the Director General, Department of Information Malaysia, Datuk Ibrahim Abdul Rahman. “We are in a democratic country and the government tolerates differences. For example, some parties are against the goods and services tax (GST) but the government tries to convince its implementation. 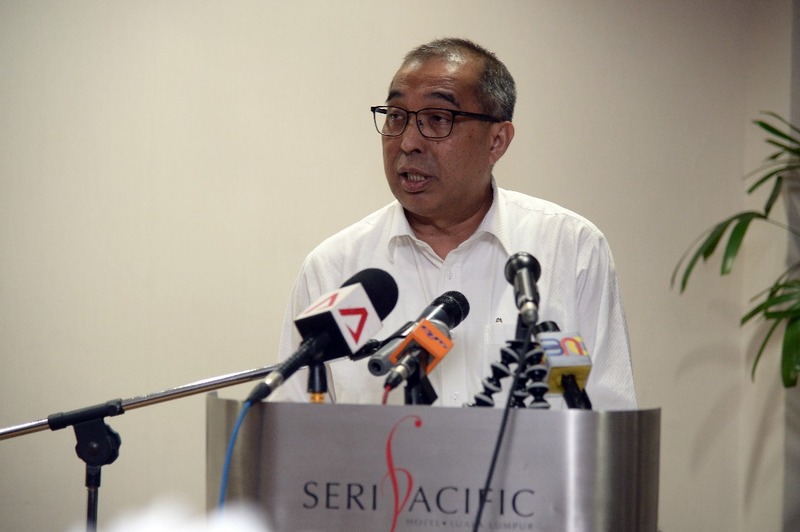 However, at the end of the day, the voters are to decide on it,” Salleh emphasized. On the roles of the media in the coming general election, Salleh said, the government is quite open and as such, the balanced news is required and the media should listen to both sides. “The media should highlight the policies of the component parties in the government and also the opposition parties and that is how it should work. Let the people decide on the policies. “All opposing views have always been allowed by the government. However, bearing in mind that Malaysia is a multi-racial country that has thrived on harmonious tolerance, it is the duty of the government to ensure all views do not lead toward untoward strife especially during the excitement of an election,” he said. The minister also noted that the issues that had been raised and being covered by the international media recently include 1MDB, fake news law, delineation, racism being used in elections, wrongful use of data analytics by the government in the 13th General Election, suppressing human rights and human trafficking concerns.